Currently, the most common reason that people come in for acupuncture treatments is to help relieve physical ailments and address pain. This ancient traditional medicine has become increasingly accepted in the United States, and in my eight years of clinical practice I have seen it become nearly mainstream in the Philadelphia and surrounding Main Line area. 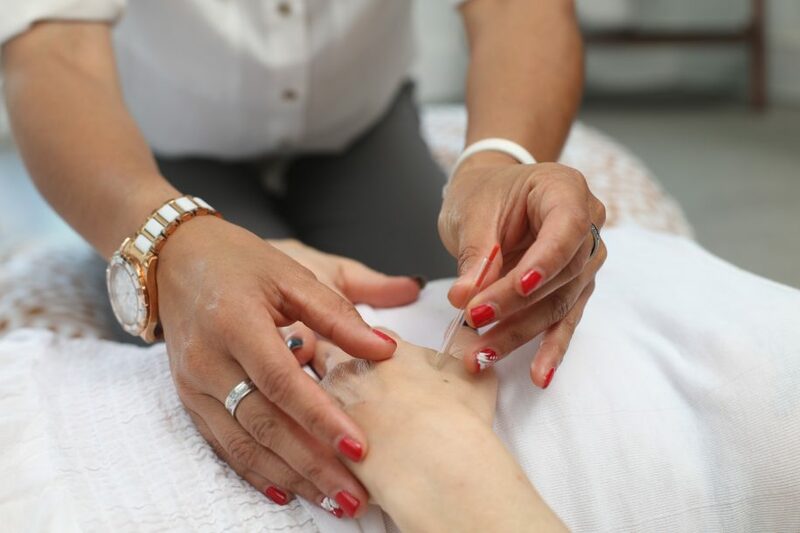 Local hospitals such as Jefferson University Hospital and Children’s Hospital of Pennsylvania (CHOP) offer acupuncture to their patients in the treatment of the following health issues. Unless you went to Acupuncture school and received a graduate degree in Oriental Medicine, it is probably confusing as to how acupuncture can help with all this, and why it is so effective, particularly in the treatment of pain. One way that Acupuncture and Chinese Medicine excels is by helping to clear inflammation in the body. In ancient texts, inflammation is called simply “heat.” Heat, aka inflammation, was and is the cause for many health conditions, and is seen as something to be cleared as soon as it shows up in the body. It is fairly simple to assess whether a patient has a heat condition or not. At each visit, your acupuncturist will listen to your concerns, take your pulse, palpate certain points or palpate the abdomen, and also look at your tongue. (The tongue, like an internal map, reflects different areas and organ systems in the body.) If the pulse rate is fast or rapid, it indicates inflammation or heat, or increased stress in the nervous system. A red or scarlet tongue will also denote a heat condition. Depending on what area of the tongue is most red, your acupuncturist can assess where the inflammation or heat in the body exists. Heat may be cleared with a variety of acupuncture approaches. In the Five Element tradition, for example, the cooling points (metal and water) along the affected meridian or organ system (deduced by your acupuncturist) may be used. There is also a specific protocol for clearing heat from all of the organ systems simultaneously, aptly called an “Aggressive Energy” treatment. Most people report feeling extremely calm after an acupuncture session where heat/inflammation has been cleared, they are often surprised by how different they feel before and after a treatment. A longer term strategy for clearing heat would involve looking at the source of the heat – from a Chinese Medicine perspective many foods are more hot or warming that others. Foods such as garlic, alcohol, and refined sugar, for example are hot from a thermodynamic perspective. These foods should be eaten in moderation when there is inflammation in the body. Another potential source of heat and inflammation can be emotions that become stagnant, meaning they were never acknowledged or expressed. Anger that is stuffed down can be a source of heat, as well as sadness or anxiety that one does not acknowledge. This might show up on the very tip of the tongue (the area that reflects the heart) as a bright red color. The strategy over time would be not only to clear the heat with a specific Acupuncture approach, but to also calm the nervous system from stress (what Chinese Medicine might call nourishing yin and perhaps yang as well, depending on the needs of the patient), and talking to the patient about how to deal with the cause of heat in their day to day life. To get a better sense of the positive benefits of Acupuncture, take a look what people are saying here. Thank you for reading and taking the time to understand a bit of how Chinese Medicine works!